The Bankruptcy Court recently ruled that the assets of a Massachusetts limited liability company were available to satisfy the debts of a related business where the common owner of both companies failed to observe more than “minimum” formalities between the two entities. Judge Feeney’s decision In Re: Cameron Construction & Roofing Co., Inc. is a good reminder that simply establishing independent LLC’s to protect assets is insufficient if the owner of the LLC’s does not take care to segregate the assets, employees, contracts and management of each entity. The facts in Cameron are not uncommon – the owner of the roofing company also owned a separate LLC that held valuable real estate. The LLC leased the real estate to the roofing company, which served as the roofing company’s headquarters. Unfortunately, there was no formal lease agreement between the roofing company and the LLC. The roofing company rarely paid rent to the LLC and employees of the roofing company regularly performed services for the LLC, but the roofing company never invoiced the LLC for that work. As a result, the court held that the assets and businesses of the two entities were so intertwined that the real estate in the LLC would be available to the roofing company’s creditors. In conclusion, any entities with common ownership should take care to document and respect the independence of each business. 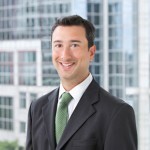 Christopher Agostino is an attorney in RIW’s Corporate & Business Practice Group. He can be reached at cra@riw.com.